Nicola Mendelsohn and Ben Jeffries will speak at next Thursday's event. 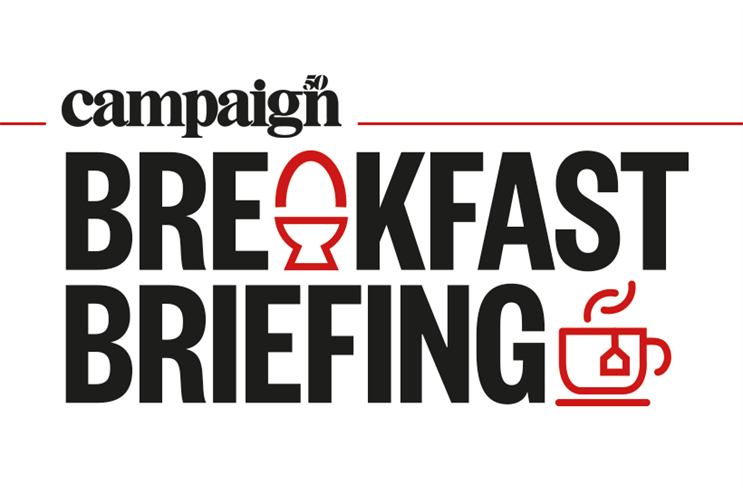 Facebook's EMEA boss, Nicola Mendelsohn, and Influencer founder Ben Jeffries have joined the line-up for Campaign's breakfast event with Sir Martin Sorrell and MediaMonks. "Back to the Future: When Sorrell met MediaMonks", in association with M&A advisor Results International, takes place on 1 November. Sorrell, executive chairman of S4 Capital, and Victor Knaap, chief executive of MediaMonks, will talk on stage together for the first time since merging their companies. Mendelsohn is Facebook’s vice-president for Europe, the Middle East and Africa and one of the most senior figures in the UK creative industries. She has previously been executive chair of Karmarama and deputy chair of Grey London, and has served as co-chair of the Creative Industries Council. Jeffries is the 22-year-old founder and chief executive of Influencer, an influencer marketing company, and won the Rising Star (Media Owner) award at this year's Media Week Awards. They join a list of top speakers, which include: Magnus Djaba, global president of Saatchi & Saatchi; David Abraham, co-founder of Wonderhood Studios; Lorna Tilbian, a leading media banker and non-executive director of M&C Saatchi; and Julie Langley, a partner at Results International. Sorrell, the former chief executive of WPP, founded S4 Capital in May and is positioning it as "a new-era, new-media solution embracing data, content and technology in an always-on environment for global, regional and local clients and for millennial-driven digital brands". "Back to the Future: When Sorrell met MediaMonks", in association with Results International, takes place on 1 November at the Curzon Soho in London. Tickets are available here.